So I’m starting out slowly with a little t-shirt reconstruction. I picked this up at the last swap I attended. Its a mens XL, and way to big for wither me or Boo. But I’m a sucker for ombre, and its the softest cotton ever, so as soon as I touched it there was no way I was putting it down. And now I finally got around to sizing it into a shirt I can actually wear :) Heres an easy way to turn an oversized tee into something more fitted. 1. 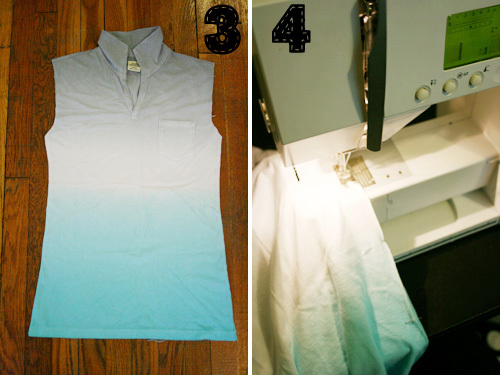 Carefully cut off the sleeves and set aside. 2. 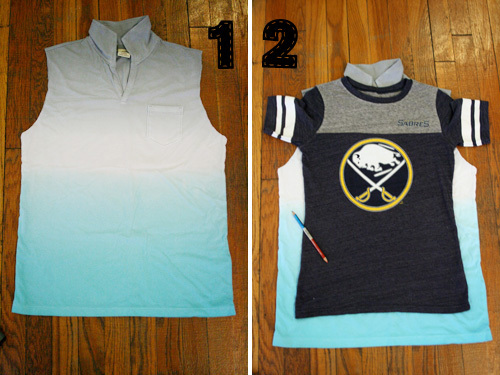 Lay your “good” tee on top, making sure to line up the neck and shoulders. 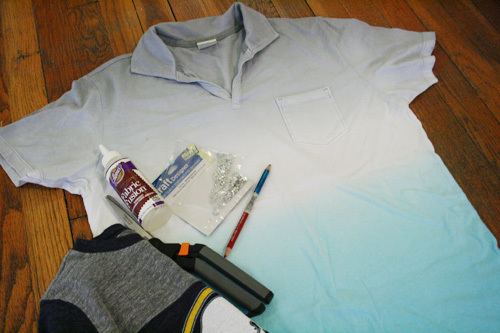 trace the outline of the top shirt with your marking tool. Don’t forget to reshape your armholes too! 3. Make sure you add a little seam allowance to your new lines, and then go ahead and cut. 4. Sew up your new side seams. And then sew your sleeves back in. You may either need to make a slight adjustment to the size of the sleeve or ruche it to give it a little puff effect. (sorry, I forgot to document this separately). 5. And now the fun part! 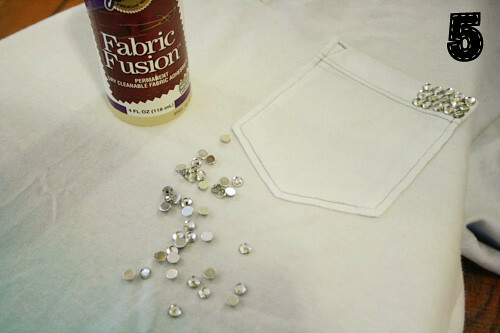 Use your rhinestones and fabric glue (or whatever other embellishments) to bling out whatever area you want. 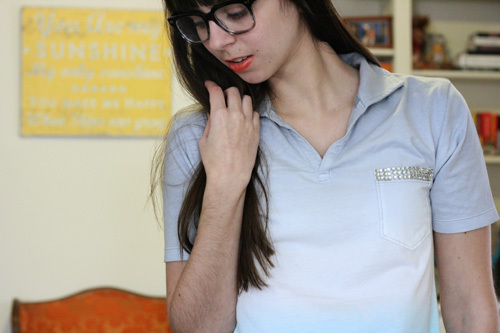 The pocket, collar, sleeves… whatever! 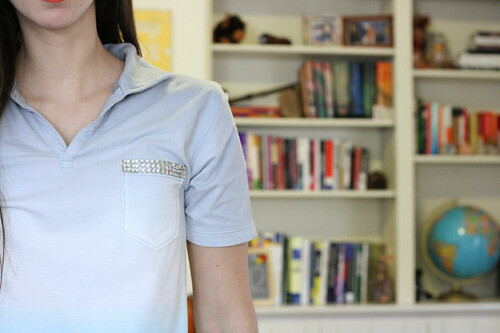 I really wanted to do the entire pocket, but I didn’t have nearly enough rhinestones. And now I have a cute and soft new tee shirt! Now that I’m looking at the photos, the only other thing I might go back and do is shorten the sleeves a little. But I like how it came out, otherwise.